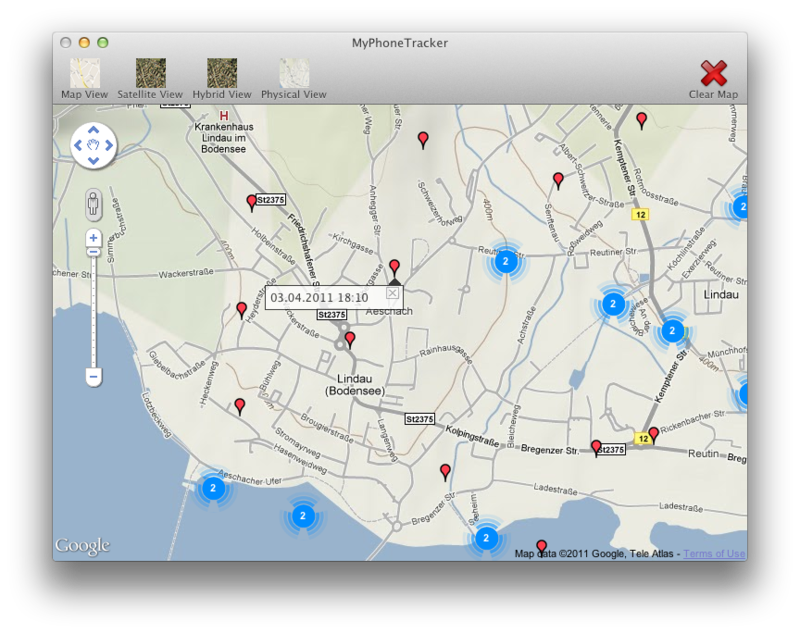 MyPhoneTracker, an application brought to you by this blog, allows you to visualize the location tracking database of iPhones and Androids on a interactive map. Be aware that the data the devices collect are determined through cell tower triangulation so its by far not 100% correct. 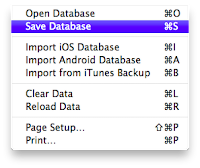 You can import the database from a local iTunes Backup, the application will display all backups for your devices ordered by date. Or load the file from an actual iPhone (jailbreak required). The file is named "consolidated.db" and you find it inside "/private/var/root/Library/Caches/locationd/consolidated.db". For Android devices the file is called "cache.cell" for cell determined locations and "cache.wifi" for WiFi determined locations. 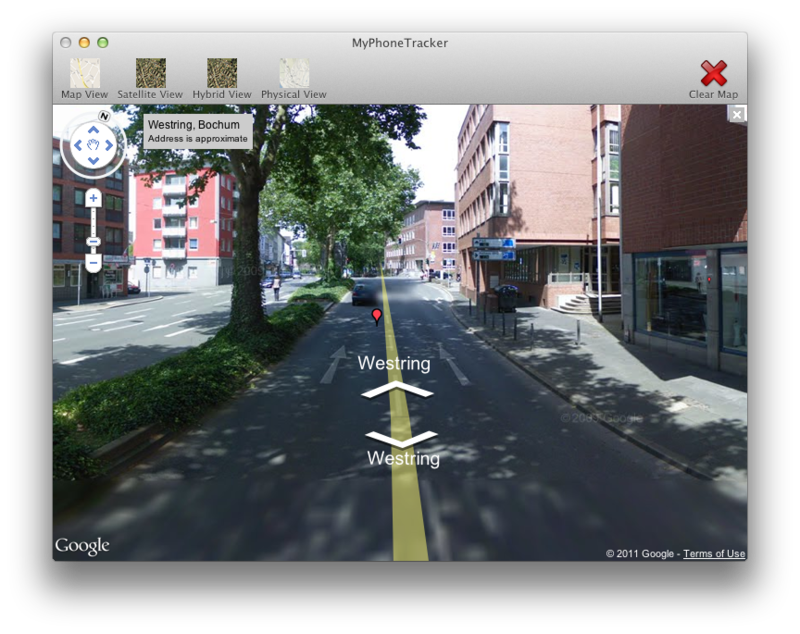 You can find the file(s) inside the folder "/data/data/com.google.android.location/files". The tracked locations are visualized through markers and colored dots. 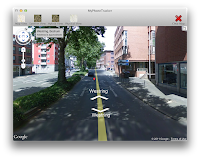 A dot indicates that inside the displayed area more then 1 location was tracked. The number inside the dot tells you how many times your location inside this area was saved. Click a dot to zoom in and get a more detailed view till you see the exact marked locations. MyPhoneTracker allows you to import data from iTunes/iPhone and Android OS. 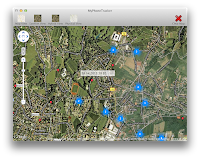 You can open an existing location database, import more data from the consolidated.db and save it again. 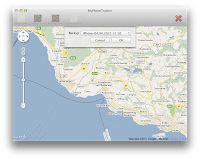 This way you can keep track of your locations even with the iOS 4.3.3 limitation of only 7 days location location data. 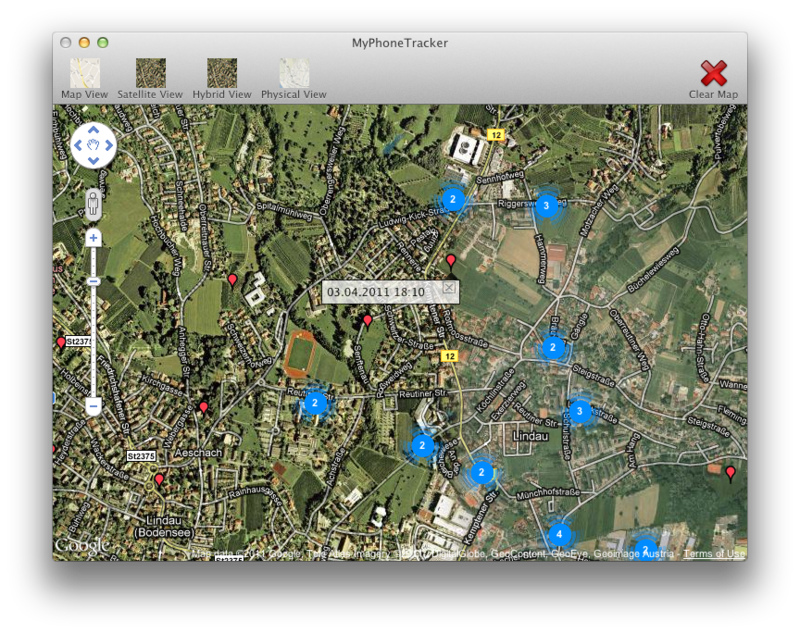 It wont help you if you loose youre phone, its an tool to analyze the local tracking db that ios4 introduced. Check the last blog post for more details. kudos on this exclusive release! I heard apple was spying on people with this technology. The points collected are rather inaccurate to as much as 1km. Also this doesn't run on my older iMac. Is it 64 bit? Yes since its determined through cell tower triangulation the points are not very correct, i upload a 32bit binary and the source later today. Aren't Apple tracking all Iphones anyway, heard it on the UK news, it's even in the 15,000 word contract/terms and conditions and is given to third parties but without your details/name. Tracks everywhere you go to, all locations. lol that is kind of creepy. @The Angry Lurker, they are even worse than the united states government. awesome software, and love the new icon! as what Woody brought up, it currently always quits immediately showing "couldn't load consolidated.db file from..." without allowing opening anything manually. thanks. 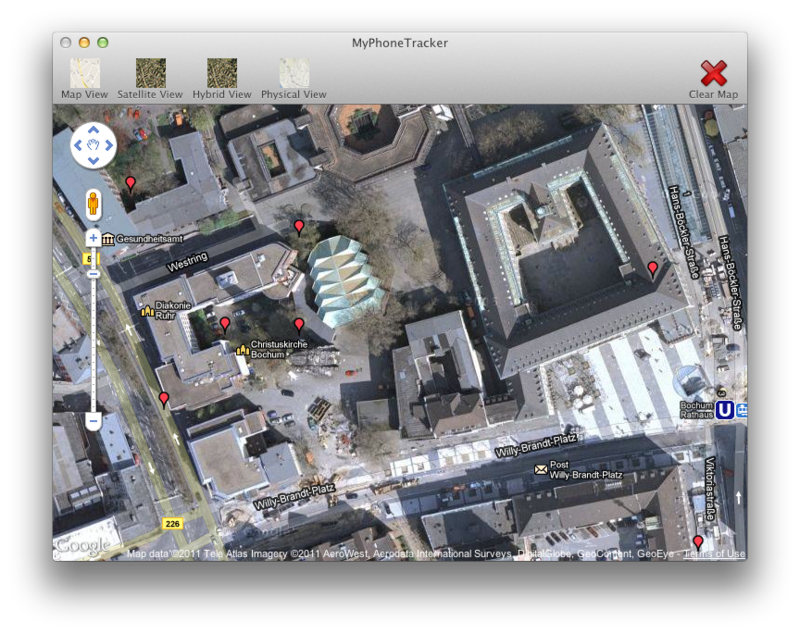 So who wants to fund my plan to make iphone cases out of lead to block any tracking signal? Well done...sometimes I worry about how much data Apple has on me. Scary yet interesting, I must say. 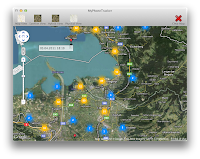 Can't believe it is all being logged, awesome application. This is a great app, thanks for sharing it. Thanks for 0.9.2 - I'm now seeing data from my Verizon iPhone. table whose name did not end in "Boxes". need to supply your own build of sqlite3. in the _meaning_ of those two tables. to retrieve all the rows in both tables (excluding duplicates). Thanks for your feedback R. Hamilton, i am currently checking the date in those tables and will prolly include them in v1.0. 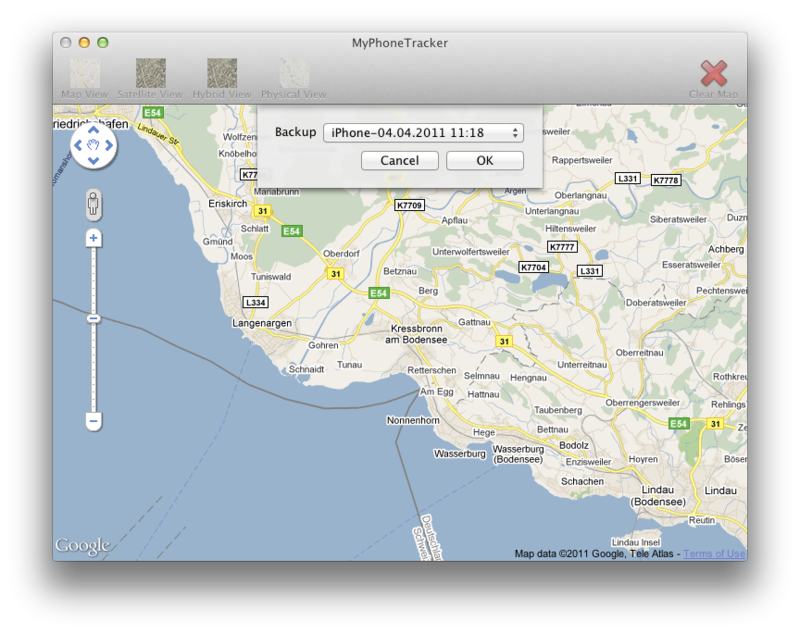 Imperator: are you're iphone backups crypted? Not to keen on the idea that folks can track ya down.